Three horse and riders crossed the finish line together in the 20 Mule Team 100 on Saturday, February 24 in the Ridgecrest, California desert, in a ride time of 9:49. As no ties were allowed, John Stevens, from Lincoln, California, took first place aboard Rabbalad (on a coin toss, I heard), with his wife Diane taking second aboard Banderaz LC, and Jenni Smith, from Moraga, California, taking third aboard French Fry. French Fry looked fabulous in taking the Best Condition award this morning. 25 out of 30 riders completed the 100, with the last rider, Laurie Birch, crossing the finish line in 14:50. The famous Monk, owned by Chris Martin and ridden by 16-year-old Young Rider Alex Shampoe from Colorado, won the AERC 65 and FEI 2* 120 km ride. Alex's mom Aileen Ellis said, "Alex confirmed that Monk really is a living legend and how lucky she is that she got to experience the ride on Monk. " "Hot Topics" at AERC Convention Guaranteed to be Hot! The 2018 American Endurance Ride Conference Convention will be held Friday and Saturday, March 9 and 10, at the Grand Sierra Resort in Reno, Nevada. The full agenda includes provocative, educational seminars, an eclectic Trade Show, Tack Swap, and Friday night music and dance, culminating with the Banquet and Awards ceremony Saturday night. Guaranteed to be hot, lively, and stimulating are Friday and Saturday mornings' Hot Topics sessions, beginning at 730 AM. The subject of Friday's session is AERC and International Riding; Saturday's session tackles AERC's Drug Rules, with Jeannette Mero, DVM, Veterinary Committee Chair. Come join in and listen and debate! The Davenport Arabian Horse Conservancy is proud to announce the publication of Homer Davenport’s Quest of the Arabian Horse. Homer Davenport, in 1906 the world’s highest-paid political cartoonist, was permitted to buy Arabian horses in the Ottoman Empire under the aegis of Teddy Roosevelt. Roosevelt credited Davenport with a major role in the success of his 1904 presidential campaign. The trip provided Davenport with the basis for a best selling adventure story that has gone through at least six editions since 1909, followed by The Annotated Quest in 1992, all now out of print. Davenport’s Quest takes the reader along on Homer’s 1906 trip to the Bedouin tribes and then home again with the largest single importation of Arabian horses ever brought to the U.S. from the tribes. Influential Arabian horse breeders of the 20th century referenced My Quest as sparking their interest in the horse of the desert. This new edition centers Davenport’s original text on the page with marginal notes elucidating 1909 references. The 480-page volume, lavishly illustrated in color and sepia, builds on The Annotated Quest, 1992. Over 150 pages of additional material update the story and clarify questions and mysteries surrounding this remarkable journey. A particularly important section for scholars features new translations of the horses’ Arabic documents of authentication. An annotated version of “Horses of the White City” tells of the Hamidie importation to the Chicago World’s Fair of 1893, where Homer saw his first real Arabian horses. “At the Beginning” is the annotated story of early U.S. Arabian horse breeders and the founding of the Arabian Horse Club of America, now the Arabian Horse Association. These appendices add deeper context to the early days of U.S. Arabian horse breeding. Davenport’s Quest can be ordered by mail directly from DAHC at 1736 S. Farmingdale RD, New Berlin, IL 62670, for $50 plus $10 for domestic shipping. Online orders may be placed through Amazon. Booksellers or those wanting eight or more copies should contact treasurer@davenporthorses.org for quantity pricing. Homer Davenport’s Quest of the Arabian Horse is now available for shipping. Junior endurance rider Lily Turaski's Quantum Shorts Sci-Fi Essay Needs Your Vote! Vote before 23:59 GMT on Thursday 15 February! Lily Turaski's submission to the Quantum Shorts Sci-fi Essay Contest, "A Future with Fortran," has been selected as one of the top eight youth entries internationally. Quantum Shorts is a contest for quantum-inspired flash fiction. What is quantum theory, you ask? It's "a theory of matter and energy based on the concept of quanta, especially quantum mechanics." Turaski, a Junior endurance rider, and the Junior AERC Representative, from Friendsville, Tennessee, studies Materials Science Engineering at Georgia Tech, "where she brings her own flavor of quarky neediness to campus. She… is thrilled to have her superposition sentence emulated in so many alternate realities in the entries of Quantum Shorts 2017. " Her 2015 Quantum Shorts Sci-fi Essay Contest entry, "Qubits of College Acceptance" was selected as the People's Choice winner. She is hoping for a repeat victory this year, and "A Future with Fortran" is eligible for this award. The essay with the most viewers' votes wins people's choice and a $500 cash prize. This annual award is given to the Arabian or Half-Arabian/Anglo-Arabian horse with the highest AERC points in the National 100 Mile Award. These points are accumulated in the 2017 year by competing in 100 mile endurance rides. The 2017 High Point 100 Mile Arabian Horse with a total of 1,548, is BETHANY GREYC+/, owned, bred and ridden by Gerald Cummings. BETHANY GREYC+/ is athletic ten-year-old bay mare who began competing with Gerald in 2013. Since their start, BETHANY GREYC+/ has completed 1,465 miles. In 2017, the pair completed 500 miles through 100 mile races. BETHANY GREYC+/ completed every ride she started and won three of her five 100 mile races! The Arabian Horse Foundation, as part of its mission awards scholarships to deserving Arabian horse Youth members - high school students that have represented the Arabian breed in a positive manner, have performed extremely well in their studies and have been excellent members in their communities. Each time a check is sent to a university or college in the name of one of these deserving youth, it is an affirmation that our Arabian Horse Community cares about its youth members and wants them to succeed in life. The Foundation funds these scholarships through special dedicated scholarship funds like the Bill Pennington Scholarship Fund and through the donations of the members of the Arabian Horse Association. The application period for 2018 is now open and can be found at the Foundation's website. The application period will close on April 1, 2018. The 2017 Middle Distance High Point Endurance Half-Arabian/Anglo-Arabian, with a total of 1,754.33, is RTM FIRST IN LINE+/, owned and ridden by Linda Hamrick. RTM FIRST IN LINE+/ is a 2004 Anglo-Arabian mare that has been competing in endurance rides since 2008 with Linda Hamrick. They have completed 4,840 miles together. In 2017, the pair finished 820 miles, won six rides and received one Best Condition award. Over the course of her career, RTM FIRST IN LINE +/ has won 42 rides and received 13 Best Condition awards! This nomination-based annual award is given to the Arabian or Half-Arabian/Anglo-Arabian horse with the highest American Endurance Ride Conference (AERC) points. These points are accumulated in the 2017 year by competing in 50-99 mile endurance rides. The 2017 Middle Distance High Point Endurance Arabian with a total of 2,461 points, is OT RASA RSI, owned, bred and ridden by Crockett Dumas. This athletic chestnut mare began her endurance career in 2016. Since then she and Crockett have attended 68 rides and completed all but four of them! They finished 36 rides in 2017 alone, totaling to 1,835 miles. Their biggest ride of 2017 was the Outlaw and the Virgin Pioneer ride, where they completed 250 miles in five days! Join Us for the 2018 National Convention in Reno, Nevada! Time to get ready for a fun-filled weekend of informative lectures, great shopping, meeting up with friends, awards ceremonies, and celebrating 45 years of AERC endurance! We are excited to be back in Reno and celebrate an amazing year! We have an incredible lineup of speakers this year! We also have a large trade show-lots of brand new vendors as well as long-time favorites. If you have been needing anything horse related, this is THE time to shop! BONUS: Register by February 24 and be entered into our drawing to win a $50 gift card to Riding Warehouse and 10 raffle tickets (we are doing two drawings and each winner will win a gift card AND raffle tickets)! Find convention sign up information, room reservations, and all other important information below, as well as on our website. Capt. 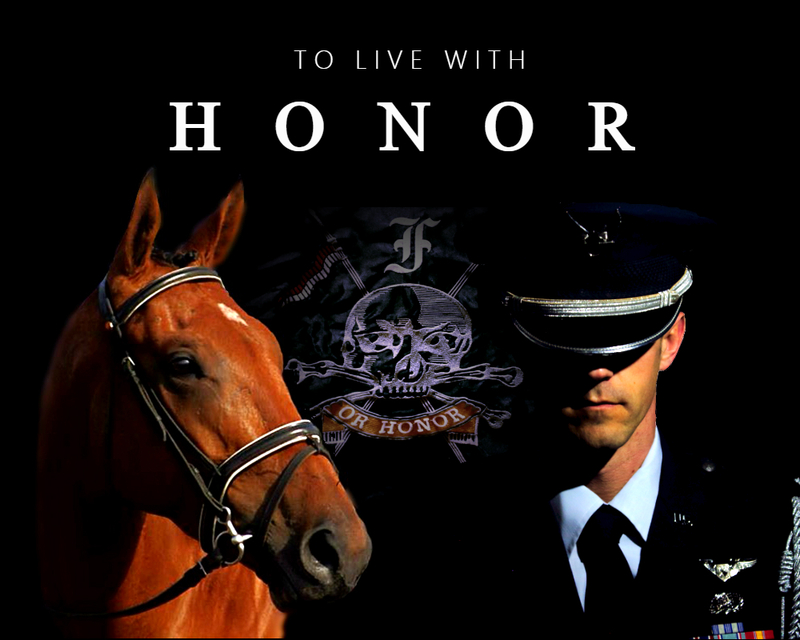 Tim Finley, a 17-year combat-decorated U.S. Air Force veteran and endurance horse rider, is working on completing his book, "To Live With Honor." The Thoroughbred yearling, abandoned and left for slaughter, came with only one thing: a name printed on wrinkled paper--"Honor." Filthy and frothing with contempt, the colt sprints laps around the paddock and cartwheels through fences. As untamed as he is angry, Honor refused to stop running from whatever invisible demons chased him. When a man with ghosts of his own gives Honor a chance, Honor still refuses to stop running. Except this time, for his name-sake, it's toward a finish line. Tim Finley was an Honor Guard, a folder of flags. For a Guardsman, honor comes with death. But when honor and death become indistinguishable, Finley's idea of honor rots into haunting ghosts. Finley must face his own mortality and rewrite his understanding of what honor means, or else lose the battle against himself. When fate drags Finley to a wretched livestock auction, his ghosts compel him to bid on horse number 5752, a horse by chance, who comes with nothing but a name. OT RASA RSI came away as the winner of this prestigious award at the 2017 Arabian Horse Association Annual Convention. This athletic ten-year-old chestnut mare is owned and bred by Outlaw Trail - Crockett Dumas. Over the past two years, OT RASA RSI and Crockett have completed 3,275 total miles. They have completed 1,835 miles in the 2017 competition season alone. Over her career thus far, OT RASA RSI has a 94 percent completion rate! She completed all but one of her 2017 rides. OT RASA RSI is an exemplary mare and deserving of her title as the 2017 Distance Horse of the Year. Congratulations to Crockett and his mare, OT RASA RSI. Good luck in the 2018 competition season! Shotgun Rider is the 2017 High Mileage Standardbred. Columbus, OH --- California bred Shotgun Rider is the 2017 High Mileage Standardbred, presented by the USTA in partnership with the American Endurance Ride Conference. By Distinguishedbaron, he is the 16th and final foal out of the Big Towner mare Anatola Hanover. Thirteen siblings made it to the races, with four taking marks of 1:53.3 or better and five earning more than $100,000. The now 6-year-old gelding earned just $10,319 during two racing seasons at Cal Expo and Running Aces. He took his 1:56.2 mark in California as a 3-year-old, but seems to have found his calling as a Wild West endurance horse. Affectionately now known by his connections as “Hillbillie Willie,” he competes in AERC events under the name Owyhee Shotgun Rider with Merri Melde, a friend of his current owner Stephanie Teeter. In their first year competing, the pair completed 255 miles, all of which were of standard distance (50-plus mile rides). Teeter has been riding with AERC since 1992 and rode her other horse, Owyhee Smoke Signal, on many of the rides that Melde rode “Willie.” She also manages sanctioned endurance rides, some out of her Teeter Ranch in Oreana, Idaho. Melde writes a blog, Merri Travels, and here is a link to her post about how the pair got Willie and his first endurance ride on June 8, 2017. Willie also has his own set of cartoon stories, which can be viewed here. The AERC High Mileage Standardbred award is given to the Standardbred that has the most miles ridden during the ride season (Dec. 1 through Nov. 30). All rides are considered, including the limited distance 24-35 mile rides, and standard endurance rides (50-plus miles). Riders must be a member of AERC in order to track horse and rider mileage. For more information on the AERC, visit their website at www.aerc.org.